TQP #3 is up on ITunes! I cross the finish line!! My Ozark table topper is quilted and bound. I did some straight line quilting with my walking foot. I also tried a new technique, sewn binding. It's much faster than a sewn on binding. I think most of my quilts will be machine bound. I love the look of the buttonhole stitch. It gives it adds a little "tweak" of interest to the binding. Don't look too, too close. I have two quilts on the horizon, Puppies & Pinwheels and Stretched Stars to GO. This my fabric choice for the "P&P" quilt. I am still on a limb as to what alternate color choice. Once I open up the, "Twice the Charm" charm pack. I'll have a better idea. I purchased the charm pack from MSQ's daily deal. This is a pic of the "Stretched Stars to GO!" pattern by Accuquilt. This is my fabric choice for the quilt. Although the bacground fabric reads "white", it has some faint salmonish dots in the background. The photo doesn't show the dots very well, if at all. I practiced free motion quilting, sorta. Let's just say, it didn't go well at the end of the week. I did well earlier this week with the quilting, however, yesterday I broke three needles in less than 2.5 minutes. Maybe it was the thread. I was using the quilting thread used for the table topper. Earlier this week I was using a finer thread. I hope that was the case and not operator error. The earlier in the week practice. I am prioritizing my WIPS. This is the next for completion. I figure if I complete two a month, I am golden. My knitting projects and fiber enhancements. This is what I am working on for my daughter. It's a nice "fru-fru" scarf. This is my first time using this type of fiber? I guess you call it fiber! I also purchase a skein of the same stuff for me. Just so you know, it does have some purple tones in it. :-) I also purchased two skeins of Vail, made of baby alpaca and bamboo and a white textured yarn so that I can make "mini" snowmen. Here's a link if you want to make some for the holidays. I think they would be adorable as a garland. Thanks go out to all of my commenters. Happy Dance!! The "big brown truck" visited my house yesterday!! Guess what I got? Did I give it away in the title? Yep, I now have an IPhone 4S. I have been waiting a long, long time for Sprint to get the IPhone. That time finally arrived. It took awhile to transfer all of my information by hand. I wanted to go have it done, but I didn't want to deal with the crowds at the Sprint Store. I love "Siri". It's nice to have the voice command technology at this level. Well enough about new fangled gadgets and on to quilty and crafty goodness. My Christmas table runner has made progress. Borders are on. All that left is a batting, backing. I hope to have this completed by the end of October. Snowman wall hanging top that has be completed at least for 2 years. I still have some embellishing to do. BTW, I have a backing for it as well. My debate with this one is the quilting. Will it be me or the longarmer? If I do it, I may be finished by Christmas 2012! I am seriously considering having it quilted. A close up of one of the appliqued snowmen. I have enhanced by my fabric stash with fabrics for my "Ozark" table topper, 1/2 yd cuts. I think I will call it, "When New Meets Old". I also picked up a charm pack of "Bittersweat" by Moda, 2 yds of gray Bella solid, 2 owl patterns (Etsy coming soon) and some Aurifil thread. My owls and HPKCHC homework progress. A little update. My quilt has returned safely from the MSQ Company!!! Feathers, feathers everywhere. Here is a pic of the front and back. Just a quick update of what I am currently working on. Braided table runner/topper using "Jovial" fabric line by Moda. Mailbox surprise! A package from MSQ Co. was in my mailbox today. I am not sure what day it came. This was my first trip to the mailbox this week. Anyway, I ordered the "deal of the day" that showcased Jenny Beyer fabric line. It was call twice the charm by MSQ..btw, the fabric line is called "Coraline". HPKCHC home work....Working on a "Swifter" cover. No more disposable pads, environmentally friendly. A 3 day turnaround for my long-armer to complete my quilt. How exciting is that? My quilt was quilted at "Aurora Quilt", will pick it up tomorrow and take photos. Sock Snowman! I made it myself. Does it make you smile too? Shhhhh, btw I have a podcast! Episode one is posted. You can listen at http://thequiltingpot.podbean.com or search for me on ITunes. Please be nice! It's cold, dreary with occasional rain. How better to cheer you up? 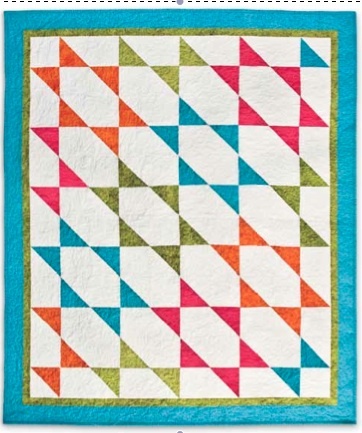 Do some quilting. I have completed my "Piano In The Park" quilt top. I used the rest of the fabric to make a pieced back. The inspiration came from watching the "Summer In the Park" tutorial made by MSQC. The quilt is made from the "Frolic" line by Moda. I pieced the name of the block on the back using the technique by Tonya Ricucci from her book, "Word Play Quilts". The quilt is now in the hands of my local Longarmer! 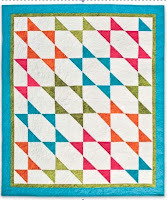 It will live at Aurora Quilts, http://www.auroraquilts.com/, for the next couple of weeks!! Can't wait to see the quilting. Armed with fabric, I have two other projects that I am starting today. First and on the machine are strips for a Christmas Braid wall hanging. Next and close on it's heels will be an "Ozark Star" table topper. After watching Fons and Porter episode 1801 (I think), I became obsessed with making this table topper. I can see myself not only making this for my favorite holiday season, but also other seasonal colors. I will be using the fabric line "Jovial" by Moda. Pics coming soon. Until next time, Happy Quilting!! !